I started working with HTML in 1997 making personal websites and gaming websites for my peers. Of course if I were to see any of those websites today I would probably cringe for the lack of design and overuse of animated .gifs. In 2001 I started working with PHP in order to make changes to some PHPBB forums. After analyzing the code and developing the changes I needed I was hooked on learning more programming. I made several changes to the forum software and in late 2002 began work on a couple database driven websites of my own. As a Senior Developer at New Era Portfolio I was charged with overseeing the platform change for Photos.com from a proprietary platform to Magento2. My involvement included being the primary contact for a third party vendor that initiated the project as well as writing custom modules to facilitate client needs. Additionally I wrote the migration scripts that combined data from multiple Solr and MySQL instances to populate ElasticSearch which powers product options and information on the site. 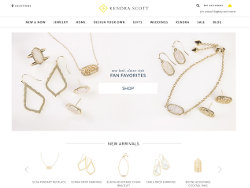 As a Senior Developer at Kendra Scott I helped maintain the Magento exommerce platform that was in place. This maintenance included creating custom modules and scripts to handle product feeds, optimize performance, execute theme updates, and assist other developers with tasks. One initial undertaking was to setup a normalized development environment for the team to use on their local machines. Additionally as a team we were tasked to address high user capacity for promotions which heavily impacted system performance. This was a project for White Lion commissioned by Vent Blowtique. Built on the Ionic Framework this iOS application is used as a style selection and scheduling assistant. 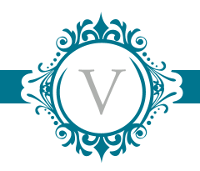 It features the style options a customer could choose which flowed into the scheduling system which I integrated from a 3rd party API that VB already had as a scheduling vendor. 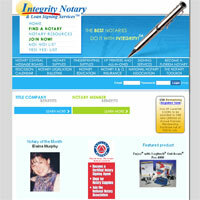 It is featured in their store locations as a primary interaction for their customers. I was the sole developer on this project. This was a project for White Lion commissioned by Walsh Anderson. Built on the Laravel 4 framework. This was an interesting project that featured PDF file creation and a custom document generator. Users would select answers to a questionaire which would populate placeholder data in the final doc. Then they would be able to edit every line and save as they went. 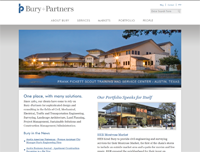 Fun project where I built all but the frontend which was completed by Way Spurr-Chen. Documents could be saved as a revision, copied to a new doc and have multiple users editing. It also featured print preview of the live data as you edited the doc. This was a project for White Lion commissioned by Louisiana Land Bank. Built on the Kohana 2.4 framework. The site was started by another dev at WL and I partnered up with him to hit the deadline. My work consisted of creating a loan calculator and finishing several sections that were to be managed by a backend CMS. This was a project for White Lion commissioned by Pre-Pen. Built on the Kohana 2.4 framework this information website consisted very much of static content. The minimal CMS allowed the admin to add and update documents linked from the site. This was a project for White Lion commissioned by Ledwell. Built on the Kohana 2.4 framework this was a small project that allowed the client to manage content through the customized White Lion CMS. Giving them the ability to upload images and managing page content. This was a project for White Lion commissioned by Spibelt. Built on the Kohana 2.4 framework. A complete rebuild of their Ecom site. Utilized Authorize.Net's payment gateway, twitter API, and built the frontend and backend as the sole developer. This was a project for White Lion commissioned by Michael Angelos. Built on the Kohana 2.4 framework. I built the Find A Store system, which utilized geolocation for stores and updated a Google Maps windows with the pin drop locations. This was a project for White Lion commissioned by Fields Architects. I built the site from mockup on the Kohana 2.4 framework. This included a CMS designed to handle the administration of client bids and disseminate documents to them for review via notification upon update. This was a project for White Lion commissioned by Bury Partners. It was a rebranding project where I built the site from mockup on the Kohana 2.4 framework. There was heavy usage of jQuery sliders in the design that were dynamic to each section. The primary navigation was automatically built based on relations defined in the CMS. This was a project for White Lion commissioned by PrintGlobe. The scope of work consisted of merging data from one database schema into another completely different schema, application of a new site design, and ecommerce checkout udpate. After analyzing the table relations and mapping data points I created custom migration scripts. More than 600,000 products and 7,000,00+ options along with customer information and purchasing history were successfully migrated. After the migration scripts were solid the task of converting mockups into Smarty templates was next. Smarty was an early PHP templating system that at this point in time had fallen out of mainstream use however the custom framework that was being implemented required it. In an effort to become more PCI Compliant I was tasked to update the accounts, cart, and checkout to use Athorize.net CIM. 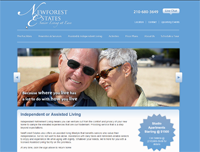 This was a project for White Lion commissioned by New Forrest Estates. The new frontend team setup the design templates and I tied the views into the Kohana 2.4 framework. This was a project for White Lion commissioned by McGarrah Jesse on behalf of Frost Bank. The scope of work was to implement the design provided by McGarrah Jesse as well as build out the functionality of the loan/mortgage calculator using JavasScript. It was a stand alone page used specifically for a marketing campaign designed to funnel new leads into their system. 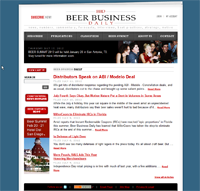 This was a project for White Lion commissioned by Beer Business Daily. The scope of work consisted of taking an existing similar site owned by the client and applying modifications to the existing code base. This was a legacy project which upon completion had helped me to familiarize myself with the legacy code base that I now helped to maintain. This was a project for White Lion commissioned by Texas Beef Council which is a non-profit organization. The scope of the work covered building a member only running team website which would allow runners to maintain their personal information as well as track the details of the races they participated in. The site administration is heavy on the reporting features to assist the organization in reimbursing members for race admission up to the legal limit as stipulated by Texas state law. I built this site on the Kohana 2.4 framework from mockup given by the design department. I was approached by a couple members of the Myth game community to assist them with some non-working tournament software(PHP & MySQL). It was to the point where one of the tournament coordinators was ready to scrap the website all together and use a static website with a less stylized design. If they had done this it would have caused a lot of extra work during the tournament process and slowed the results. This started as a debugging project fixing broken code. After I debugged the site it was clear that several administrative functions were unfinished and some changes were being updated manually in the database. I added several new features to the administrator back-end to alleviate the need to make manual updates in the database during the tournament. My wife and I wanted pictures of us growing up on the projector as well as themed music. How could I deny my new bride such a reasonable request? I scanned and sized a lot of our pictures, created several themed graphics, and put music to them all. After the wedding took place I gathered the pictures taken and added three more sections to the DVD showcasing pictures taken by different family members. I selected music and added it to those sections. 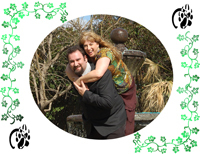 We then mailed a copy of the DVD to each family that attended the wedding. You can never get enough information. The TROLL (or The Recorded Online Lackadaisical Ledger) is a script I wrote using PHP and CURL methods to grab and process information from the Amtgard ORK to provide useful at-a-glance info about parks and players without having to reload multiple pages searching then counting fingers and toes to figure out dates. Prime Ministers can quickly view the information and see who is inactive in their park based on ORK information. Players can see what parks offer more players as well as see when their PMs last updated their park records on the ORK. This bug tracking system is integrated into the PHPBB3 authentication system so that users didn’t have to log into a separate system. It supports several user levels and makes use of the PHPBB3 admin rank for its own administration tools. It allows developers to track status updates via the web or email. It allows users to post pictures or files that could assist the developers in recreating the bug and fixing it. 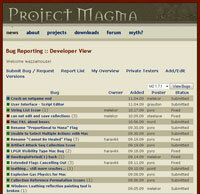 It has a commenting system and also lets developers assign ownership of a bug. The commenting system allows users to leave comments that only developers can see. All of this uses PHP of course and a MySQL database. This project will continue to be updated in the future with requested features. Emily has some amazing artistic talent and asked me to help develop her a website to put up her movies and information. This was back in December of 2007. I flew to New York to meet with her and discuss how she wanted the site designed and implemented. I developed a CMS allowing her to upload her comics, add news, and upload movies. Here in 2009 I got back in touch with her and we updated the site to allow visitors to leave comments for Emily and also revamped the archive system. We also changed the main page to display her comic instead of her news articles. Previously you could only see older comics by visiting the archive, now you can navigate them from the main page using previous and next buttons. Another perl port! 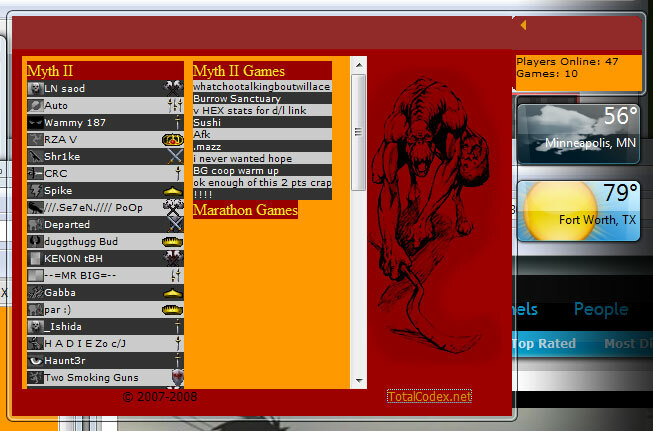 This site was used a long time ago to coordinate games over TCP/IP. It tracked time, game information, and allowed the creator to update the information using a passkey and not requiring them to have a user login. The system used flat files to store the information. This was all updated to use PHP and MySQL getting rid of the old flat files. This was a short project, something was broken and now it works. I had some free time and put together a file tree system that allowed easy browsing of specified file directories using PHP. I plan on using this in a later project when I get a chance. It allows you to click through directories and use a back button to go back up the directory listings. I had to set security features to make sure users couldn’t go above the assigned home directory. A “todo” is to update it to support more special characters. I was involved in the initial planning and development of this project. Planning covered a broad scope of features to offer users of this social network. The CMS was a custom design that I developed. The project experienced a lot of scope creep and financial setbacks which put it on hold indefinitely. When I arrived back from China I started working on some projects with CK Design Agency. 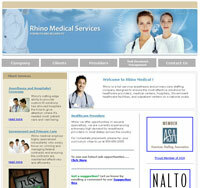 For Rhino Medical I put together a job board using PHP and MySQL. There is an administrative back end allowing them to add, edit, delete new job postings. I also prepared and imported the copy for the site into this new design layout. Minor HTML and CSS adjustments for his portion of the project. For many years I have managed and updated these forums. This is a tool used by a group of friends to communicate between several different games played among them. Originally started in 1999 using an old BBS system it was upgraded a couple years later to a perl based BBS. Another couple years and we updated it to PHPBB I believe in 2002. We have moved it from a couple servers porting from databases. Overall I only mention it here because PHPBB is a very popular discussion board system used and supported by most hosting providers. In order to take a look at the way Windows Vista Sidebar Gadgets were built I put together this little project that would display the number of players and games on the Marius.net server. It consists of a refreshing sidebar that checks game and player count. It has a flyout page when moused over or drug off the sidebar that actually lists the players and games with in game information. This was created in flash and allowed a user to take the tiles and drag them to the appropriate location. Clicking the tile would also play a sound clip of the number being said in the Chinese language. In order to teach the user the tiles would be automatically shuffled each time. While I did not write the shuffle script for this project I did collaborate with John Keston to help create it so that it suited my needs. 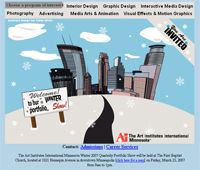 This was for an Interactive Media Design volunteer project at The Art Institutes International Minnesota. At The Art Institutes across the nation IMD students worked on a single website for a non-profit organization whom had their application approved for needing a website redesign. 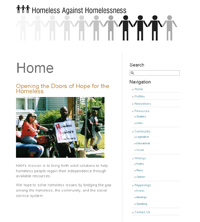 Homless Against Homelessness or HAH had only a coming soon page for their website. Their organization specializes in helping homeless people find places to live and to expand their resources. We had a team of five students and an instructor and developed a website based on the hardcopy brochures and newsletters that HAH supplied. This project was completed in three hours and gave them a fully functional database driven website to assist in expanding their organization. This was a great project and I enjoyed working with some great guys, kudos to their ambitions. 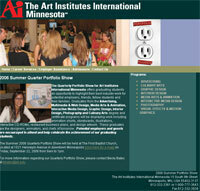 Yet another portfolio website for The Art Institutes International Minnesota. Again this project was build around the illustrator images created by a student for the mailer. This time the site was done in flash and included features such as dynamically loaded images via an xml file to make adding students easier. I also had to create a small pagination script for the Interior Design graduates page in order to get them all displayed. The project was fun, but due to time constraints I believe we will be switching to a static page that we just load everything into instead of developing a website every quarter. 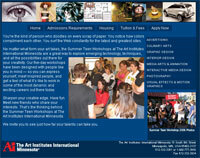 Another portfolio show website for The Art Institutes International. This project’s design was built around the print mailer displayed on the left side of the page. At first I photoshoped a new dashboard into the lower right side but content was pushing it so I removed it. So I went with a pixel drag and organized content around that. I custom built the buttons based on the AC vent. Summer Teen Workshop is a program that The Art Institutes International Minnesota uses to give local and surrounding state high school students a chance to preview life at the school. I designed and developed this website using pictures taken from the previous year’s event and some student work. I added a hint of flash to randomly display those pictures. Edit: The Art Institutes of Colorado contacted me and wanted to use this as a template for their Summer Studio (different name, same gist) website. I redid all of the copy they sent and added different graphics. 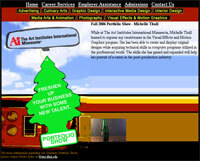 This project was the first of an on going series of portfolio websites. It started late in the quarter and ended up using a pre-existing template. My direct development was with the site layout, organizing the information submitted by faculty and students, and presenting graduate biographies to be approved. I did not do any graphic design work on this website. This was another Origin3 project for back end programming. I was contracted to develop a rating system to rate customer service, member management functions, admin applications, and some minor debugging of existing code. The project lasted a couple weeks, completing requests from the client and then developing new features and tweaks toward the end of the project. I did not do any graphic design work on this website. This was another Origin3 project where I was contracted to design a back end application that stored uploaded user images, presented them in a gallery, combine images with products to be placed in a shopping cart. I also setup the credit card secure payment. It was a great project and I enjoyed working on it. It was refreshing after the previous debugging project. I did not do any design work on this website. I was contracted by Origin3, a company out of Utah to do some PHP and MySQL work for this client. I mainly did alot of debugging with the client’s purchased website software that functioned simular to Myspace.com’s. I created messaging systems, rating systems, added profile functions requested by the client. The AAC was an excellent resource at the Art Institutes that I attended. Students were able to seek help on projects or subjects throughout the day in their spare time. In order to help keep an accurate record of time spent helping students and how often the AAC was used I created a short script using PHP and a flat file that could track the information. Tracking this helped validate the school continuing to operate the AAC. Students seeking help would add their name to the log, and students providing assistance could keep track of their hours. This website was created for a group of students at Lakeville High School in Minnesota as an upgrade to a previous website called the ABAWA. It had features to allow players to have their character interact in different ways with the site. It had a way for them to make and spend cash through their wrestling characters careers to add to their role playing experience. It gave administrators and site moderators the tools to update and edit information as needed along with a manageable scoring system. © 2019 James Taylor All rights reserved.